For some time now I have blogged (and basically told everyone who will listen) about how much I ADORE President’s Choice Products. They are high quality, affordable and delicious – that’s a perfect combination if you ask me! Since last year, PC has sent samplings of their new products for my review, and every time they do I am very pleased. At this time of the year when we start thinking about the holidays, entertaining comes to mind and automatically I think of PC products to simplify the process and impress my guests. A $10 PC® gift card to help stock your holiday survival kit with the MUST TRY! PC® Puff Pastry Hors D’Oeuvre Collection or the NEW! PC® Angus Sliders Mini Angus Beef Burgers. 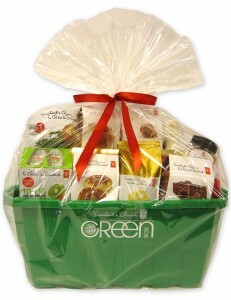 If you are a Canadian Resident and would like to enter for your chance to win this *amazing* gift basket courtesy of President’s Choice, all you need to do is leave a comment below (not on my Facebook Group) but right here at www.catcancook.com telling us about your favorite holiday food tradition. Simple enough? The contest will remain open for one week. I will randomly select one winner who has commented to receive this fabulous prize package which will be mailed! Thanks President’s Choice & Goodluck everyone! My favorite holiday tradition is Christmas Eve.The excitement of the day ahead .My 5 year old gets so excited.Favorite food would be Mum’s mincemeat tarts.Christmas baking the favorites are top as well.Thank you. My favourite holiday food tradition is making stuffing. Stuffing is my favourite part of any holiday with turkey!! Definitely plum pudding with brown sugar hard sauce! Yum…so sweet & rich, but oh so good……my Mom’s was thee best! In high school, we’d all ‘help’ my friend’s mom with her seasonal goody making. Sponge toffee, peanut brittle, cookies, chocolates; you name it we sampled it! That’s a tradition that I’m aiming to rekindle this year in our house. Cheers! My favourite holiday food tradition has been passed down through 3 generation now. As a regular tradition on Christmas Eve my family orders in Chinese Food for dinner. This started with my grandparents, then my parents and now is passed on to my siblings and I. I lost my father last year and this was his most favourite day of the year. As soon as he woke up on Christmas Eve morning he would have is menu and a note pad ready to start making his list. He would drive my Mom nuts wanting her to call us to find out what we wanted in order to add to the list. He could not wait for us to get home from what every we were doing so that I could place the order for dinner. Even though he has gone we still carry on the same tradition, it may not be quite the same but it is a wonderful memory to remember and share with my niece and nephews. We also have friends and neighbours who have started the same tradition with their families as they liked our idea so much. My favourite holiday food tradition has to be my mother’s trifle. My mother would begin making the trifle three days in advance. Each of the four layers would be set in the fridge. We would get excited as we would see the trifle getting bigger and bigger, so anxious to taste, but it was forbidden to try and sneak a taste before it was ready. The final stage, I would help by shaving the “special chocolate bar” my mother would receive from Santa in her stocking on Christmas morning. I loved shaving the chocolate bar on top of the whipped cream and help make the finishing touches on the special dessert my mother would make only once a year! Our favorite holiday tradition is on xmas eve we have a family party and when everyone leaves, we pull out our old vhs videos and watch them of when the kids were young, they just love this part of the holidays. Then on xmas morning after the gifts are open and the breakfast made we all go out in the hot tub together and relax. My favourite holiday tradition is more of a culinary memory that translates into today. I have always loved working in the kitchen with my mom, but it’s especially fun during the holidays when there are so many dishes on the go. We will often comment how well we work together as a team! Since she has had dietary restrictions due to heart health for a number of years, we have come up with some heart-healthy alternatives for holiday meals. Roasted vegetables with olive oil, pan-seared fish as a turkey alternative and pumpkin pie with a crust made with Becel and low fat milk in the filling instead of cream. My favorite holiday tradition is christmas eve when all the family gets together at 1 of our homes ! we exchange gifts and the enjoy all the Holiday Recipes made by us all, sweets, meat trays, sugar cookies candy, & What’s Christmas without fruitcake . I LOVE President’s Choice products. I have officially ‘Made the switch’ and will never turn back. What an awesome giveaway! My favorite Holiday Tradition is dinner. Family all together eating yummy turkey, veggies stuffing and desert. This year is different. I’m taking on the task of making Christmas Dinner…This basket would help, a lot! While visiting my daughter in California last year we were looking for a recipe for Banana muffins to use up our ripe bananas.We were lucky to find your awesome banana muffins.It has become a favourite for the both of us. I am now back home in Newfoundland,Canada and am still using the recipes .I throw in dark choc. chips and sprinkle a small amount of sugar on each muffin batter before baking….for crispness and shine.Thanks so much for all your recipes! On Christmas Day we only have “all day appetizers” and most of them are PC brand. Our two favourites are the Brie/cranberry bundles and the goat cheese and fig appetizers. Doing hot and cold appetizers allows us to welcome all guests into our home. We just keep putting more in the oven if more people arrive! The turkey with all the trimmings happens on Boxing Day.